Lizzy was named one of Time Out LA’s Comedians to Watch in 2018. She’s been described by the Portland Mercury as “…a witchy lady. In her act she writhes around the stage like a crazy combination of Sarah Jessica Parker in Hocus Pocus and Norma Desmond,” and the LA Times wrote, “At times, laughter nearly drowned out her keyboard. No drink minimum necessary, Cooperman killed.” She’ll appear on the second season of Comedy Central’s Corporate, and has been seen on HBO’s Crashing, on The Late Late Show with Craig Ferguson, as co-host of That Detox Life, and on the Style network and E!. Her tarot reading character, Mountain Schwartz has been featured on Super Deluxe and Funny or Die and she can be seen in the new Lord Huron video for Vide Noir. She’s performed at festivals such as Montreal’s Just for Laughs, Bentzen Ball, Red Clay Comedy Festival, and Bridgetown. 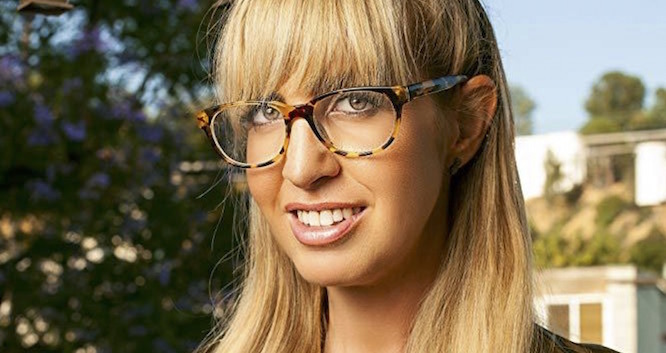 She’s written for several shows including The Eric Andre Show, Not Safe with Nikki Glaser, The Soup, The Dish, and a show that only aired in the Ukraine and Germany called Naked and Funny.